The current administration is wasting USD 3 million (MVR 46 million) on fireworks and laser show at the inauguration of the Sinamale Bridge scheduled for this Thursday evening, alleges the opposition coalition. 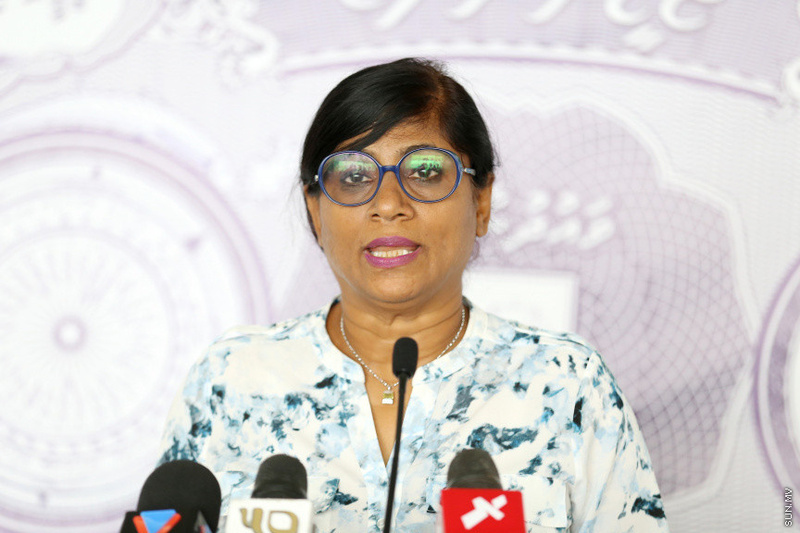 Speaking at a press conference this Thursday, the opposition coalition’s spokesperson for Presidential Elections 2018, MP Mariya Ahmed Didi said the opposition received information on the figure through unofficial channels. “We are hearing through unofficial channels that USD 3 million is being spent on this. This is the people’s money going up in flames. This 3 million is MVR 46 million from the hands of the people of Maldives,” said Mariya. Meanwhile, Minister of Housing and Infrastructure, Dr. Mohamed Muizzu said in a press conference last Wednesday that the bulk of the expenditure for the inauguration will be covered through corporate social responsibility projects. He did not disclose the exact figure being spent on the inauguration.